Day War), and more. 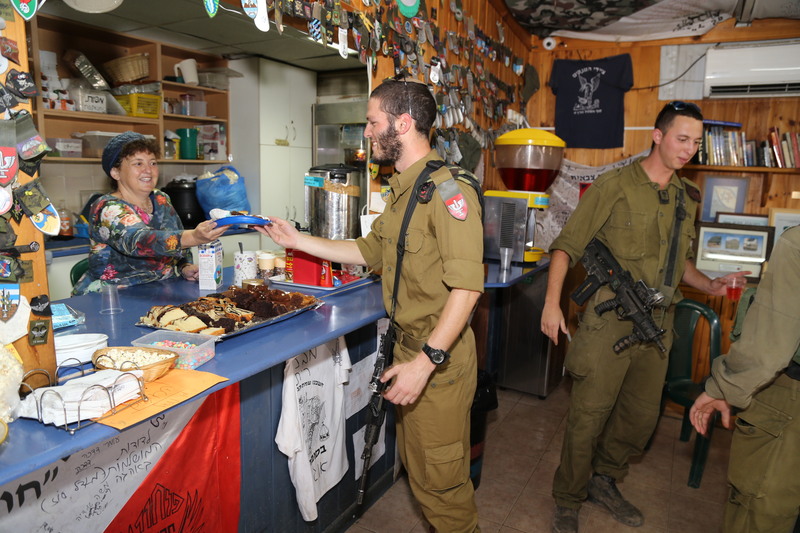 Cozy Corner for Soldiers is a communal expression of love and gratitude towards IDF soldiers, and a communal form of hospitality. All the activity at the site is carried out by volunteers, and funded by private donations. In the course of a week, 26 lbs. of sugar, 30 bags of milk, 10 cans of instant coffee, and Turkish coffee, as well as 3,000 hot cups, 3,000 cold cups and in the winter six giant tubs of soup. There is an annual Independence day BBQ for 800 soldiers. 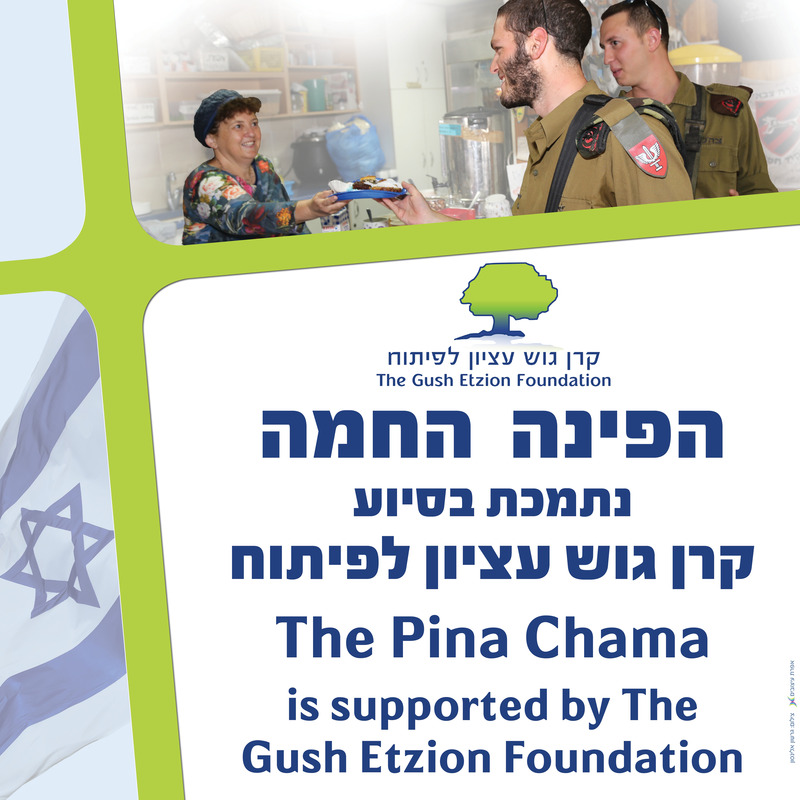 ”From the depths of the loss of two special souls – Dr. Shmuel Gillis and Tzachi Sasson, Hy’d – the residents of Gush Etzion have nurtured a project that has done more good than we can even imagine – the Pina Chama for our soldiers. May their memories be blessed! 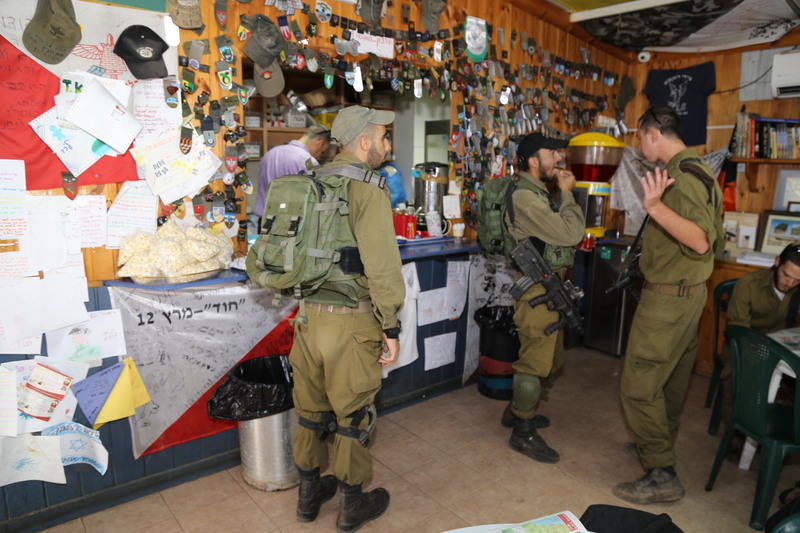 ”From the depths of the loss of two special souls – Dr. Shmuel Gillis and Tzachi Sasson, Hy’d – the residents of Gush Etzion have nurtured a project that has done more good than we can even imagine – the Pina Chama for our soldiers. May their memories be blessed! Become a sponsor and supply a monthly or annual amount from the list below. 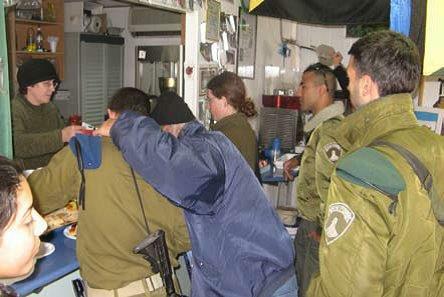 You can also help to sponsor the annual Israel Independence Day BQQ which prepares 800 portions.